EXECUTIVE SUMMARY: An American-Iranian entente that leaves Teheran with the capability to produce nuclear weapons and which strengthens the Iranian drive for regional hegemony is the most serious challenge to Israel’s national security in the near future. For Israel, none of the other Mideast upheavals and uncertainties pose nearly as great a threat. The Middle East is in great turmoil. The statist order that has underpinned the region for a century has collapsed. Several states have lost their monopoly over the use of force and are no longer able to provide law and order. This is especially true of Iraq, Lebanon, Libya, and Syria. Even Egypt, the only historic Arab state, has had difficulties effectively enforcing its sovereignty over its territory. Many of the militias challenging these state entities have a radical Islamist ideology, reflecting the rise in the appeal of political Islam in the Arab world. In contrast to the leaders of these states, who are inefficient and corrupt, the Islamists actually deliver services to the people and have a reputation for being brutal but honest. However, the likes of Al Qaida in Arabian Peninsula (AQAP) or the so called Islamic State (IS) are hardly the proper agents for modernizing their environments and their popularity dooms the Arab world to continuous ignorance and poverty. For this and other reasons, Israel will need to remain vigilant in the years ahead. The decline of the Arab world has been paralleled by the rise of non-Arab Muslim powers – Turkey and Iran. Both countries fare better on development indices and display nowadays an ambitious foreign policy fueled by imperial and Islamist impulses. Under Recep Tayyip Erdoğan and his ‘zero problems’ approach to foreign policy, Turkey has gradually distanced itself from the West. In 2003, for example, Ankara rejected the United States’ request to open a “northern front” against Iraqi forces. More recently, Turkey has opposed sanctions levied by the United Nations and the West against Russia and Iran. For its part, Iran has successfully advanced its nuclear program despite the displeasure of the international community. Comparatively, recent developments in the Middle East and beyond have also allowed Tehran to establish a ‘Shiite Crescent’ stretching from Tehran to the eastern Mediterranean. This has provided Iran with countless opportunities to project power into the Middle East and Balkans, much to the chagrin of Saudi Arabia and others. Indeed, the successes of Iranian Shiite proxies in Baghdad, Beirut, Damascus and Sanaa underscore the Tehran quest for hegemony in the Middle East. By contrast, US influence around the Middle East appears to be in decline, primarily as a result of the Obama administration’s foreign policy outlook. Correcting Washington’s overextension in the Islamic world is indeed necessary, but insensitivity to the concerns of its allies such as Egypt, Israel and Saudi Arabia is destructive to the regional balance of power. In this respect, Washington’s efforts to strike a deal with Iran that basically legitimizes its nuclear breakout status and awards Tehran the role of the regional policeman will be viewed by Cairo, Riyadh and Jerusalem as a colossal strategic mistake. The inevitable result will be further nuclear proliferation as none of these countries are likely to want to stay behind in uranium enrichment capabilities. Moreover, the regional instability could lead to more bloodshed. Relying on a radical and revisionist regime in Tehran to provide stability is the height of strategic folly. The implications of the Middle East’s ongoing turmoil for Israel’s security are mixed. Like Iran and Turkey, a democratic and politically stable Israel is also a rising non-Arab power and a player in the regional balance of power. The power differential between Israel’s national might and its neighbors has further increased, given that it has managed to prosper economically and develop a high-tech powerful military. In addition, the strong armies of Iraq and Syria have disappeared, decreasing the chances for a large-scale conventional encounter with Israel. Moreover, the pro-Western Sunni states such as Egypt, Jordan and Saudi Arabia see Israel as an ally against a rising Iran, as well as against radical Islamist movements. This also comes at a time when the United States is viewed in many quarters as a less dependable ally. Similarly, in the event of the Assad regime collapsing, Syria’s advanced arsenal of conventional weapons could easily end up in the hands of Hizballah or other radical elements. This, in turn, raises the prospect of an emboldened Hizballah and Hamas – both of whom are Iranian proxies located along Israel’s borders – renewing their campaigns of violence. In recent years, the fallout from the Arab Spring has helped to detract attention away from the Palestinian issue. In addition, the Palestinian Authority’s (PA) ability to harm Israel in order to reignite international interest is also very limited. 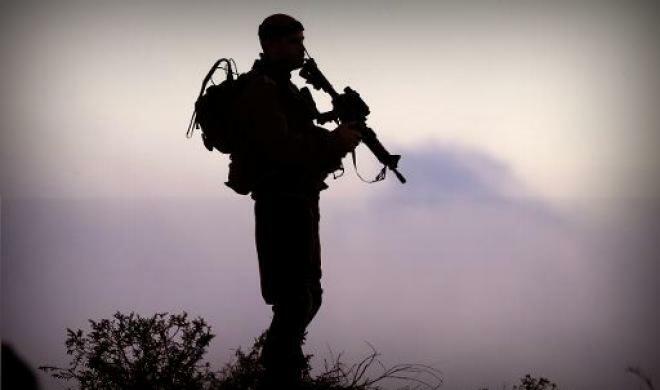 As a result, a weak PA has come under increasing pressure from the popular Hamas. A Palestinian strategic miscalculation, leading to the eruption of another round of violence, is a possibility that Israel cannot ignore. Nevertheless, so far Israel has been successful in containing the threats from sub-state groups and in limiting their potential damage. The turmoil in the Arab world is also changing the strategic landscape in the Eastern Mediterranean basin, where elements of radical Islam are gaining control. Tunisia, Libya, Sinai in Egypt, Gaza, Lebanon, Syria and Turkey all play host to groups with Islamist tendencies, thereby threatening the currently unrestricted access to this area by Israel and the West. Approximately 90 percent of Israel’s foreign trade is carried out via the Mediterranean, making freedom of navigation in this area critical for Israel’s economic well-being. Moreover, its chances of becoming energy independent and a significant exporter of gas is linked to Israel’s ability to secure free passage for its maritime trade and to defend its newly discovered hydrocarbon fields, Leviathan and Tamar. These developments require greater Israeli efforts in the naval arena. Indeed, Israel is engaged in building a robust security system for the gas fields and has procurement plans for additional vessels. As with other parts of the Middle East, the assessment in Jerusalem is that the key factor in the developing regional balance of power is Iran’s nuclearization. This would be a “game changer” that only Israel has the capability to prevent. Netanyahu’s recent electoral victory left in power the only leader that might have the political courage to order a military strike to obstruct the Iranian progress towards acquiring nuclear weapons. Indeed, his victory was quietly welcomed in the capitals of the moderate Arab states that are terrified of Iran and have little time for Obama. Saudi Arabia and Egypt are good examples. Accordingly, Israel is watching with growing bewilderment the endeavor of the Obama administration to implement a “grand bargain” with Iran. This puts Jerusalem on an inevitable collision course with its most important ally. Israel continues to benefit from a large reservoir of sympathy among the populace of the United States, and most notably within the Republican controlled Congress. Yet, while Obama is not popular, as president he can extract heavy costs in the military, diplomatic and strategic arenas. The remaining 22 months until he leaves office must be weathered with minimum damage to the American-Israeli strategic partnership, particularly if Israel chooses to make good on its threat not to allow Iran to become a nuclear power. With this in mind, the American-Iranian nexus is the most dangerous challenge for Israel’s national security in the near future. This article was originally published in The International Relations and Security Network, ETH Zurich on April 13, 2015. Efraim Inbar, a professor of political studies at Bar-Ilan University, serves as the director of the Begin-Sadat (BESA) Center for Strategic Studies and a Shillman/Ginsburg fellow at the Middle East Forum.